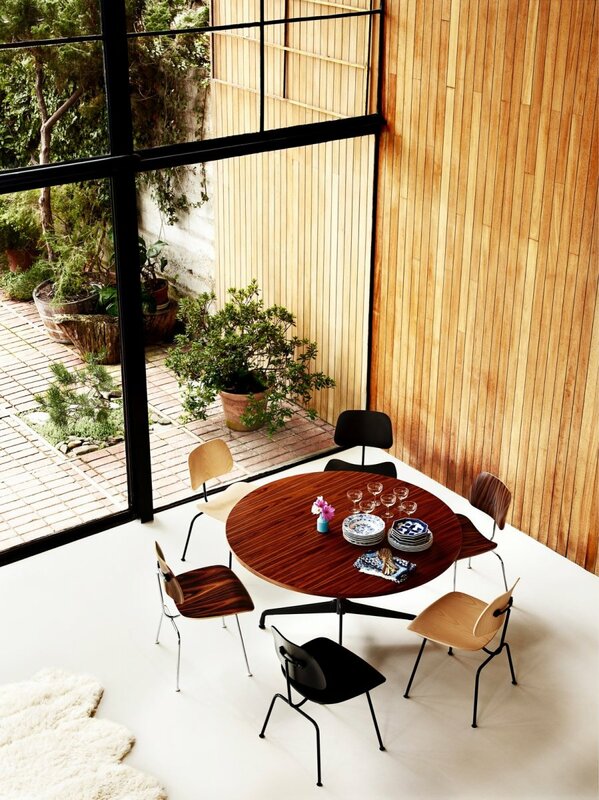 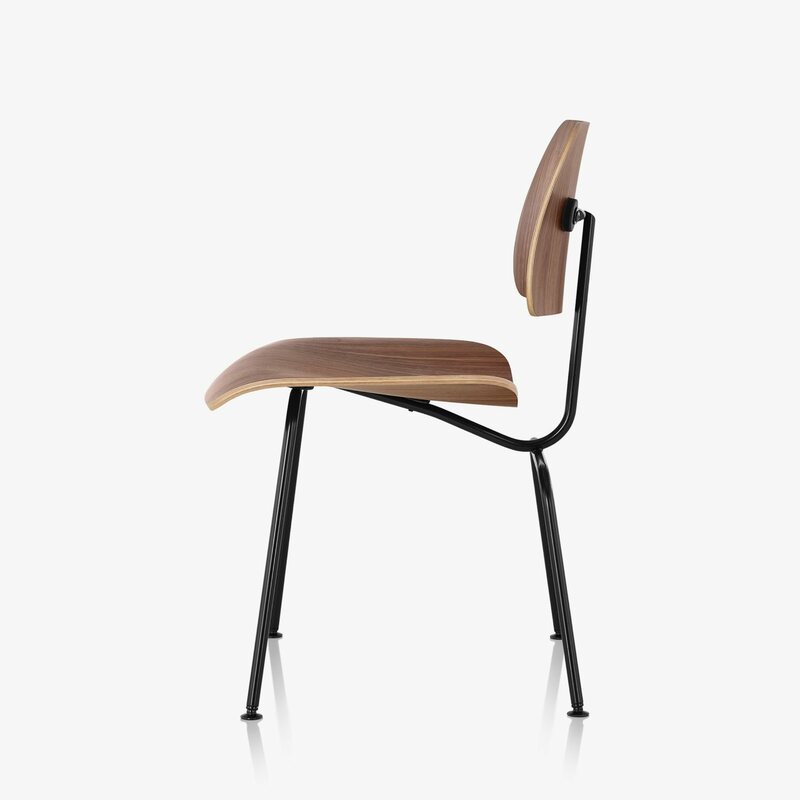 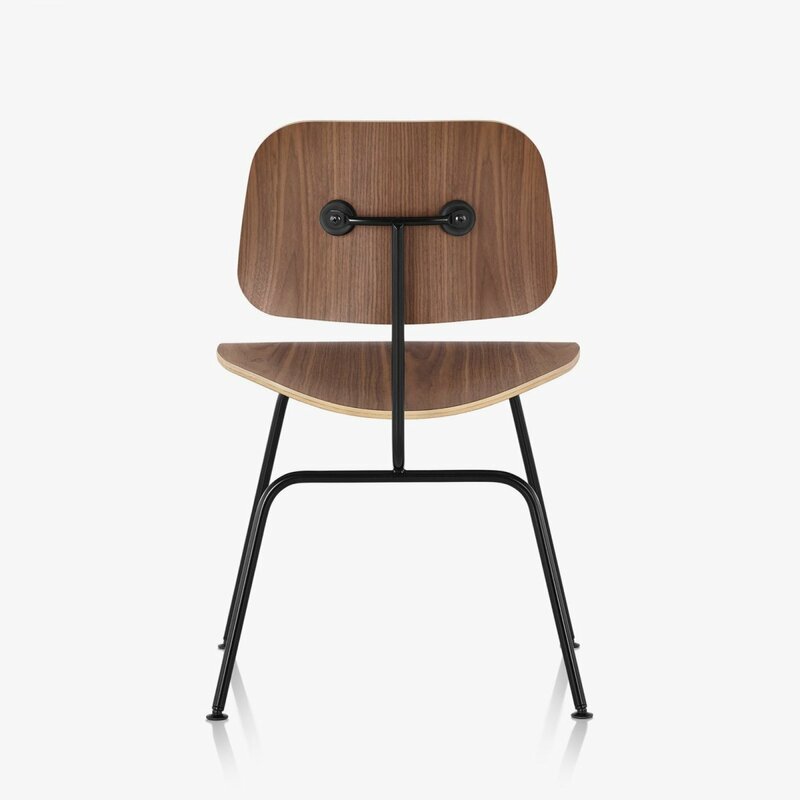 Eames Molded Plywood Dining Chair with Metal Base is a timeless mid-century modern chair designed by Charles & Ray Eames for Herman Miller. 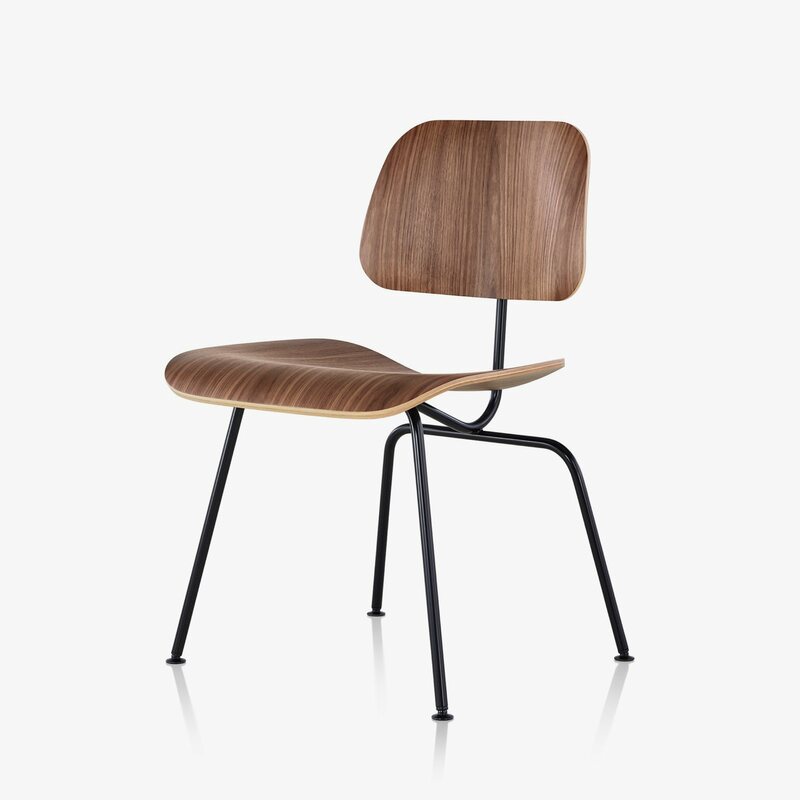 This chair&apos;s curved plywood seat and back are so thin, the design was nicknamed the &apos;potato chip chair&apos; soon after it was launched. 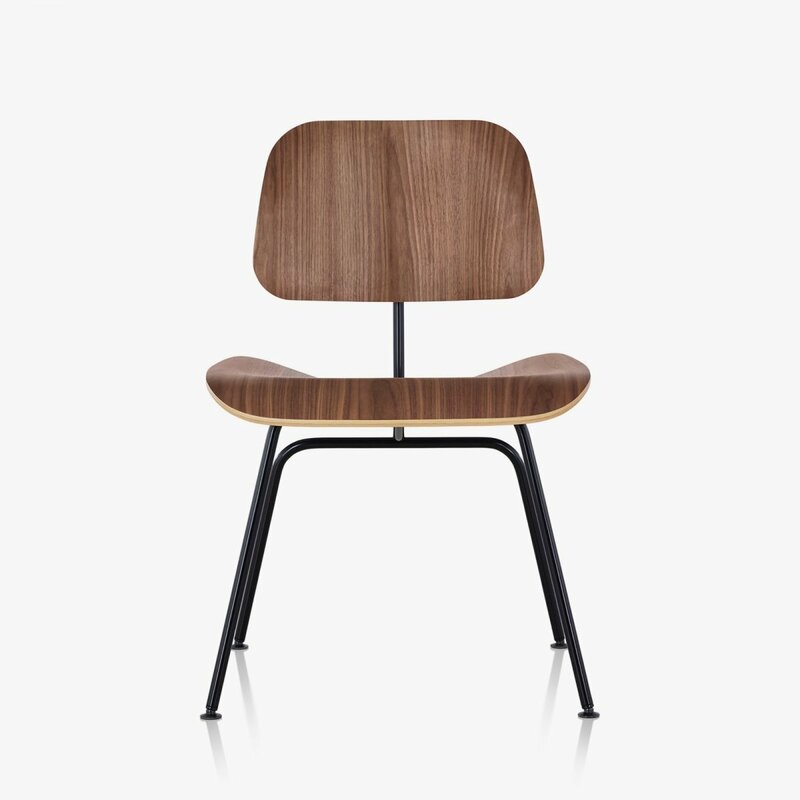 Decades later, it earned a different title, when Time magazine named it the Best Design of the 20th century.